MSC Cruises has announced that, starting in December 2015, its 2,120-passenger MSC Opera will homeport in Havana for the winter 2015-16 season, sailing 16 Caribbean cruises. 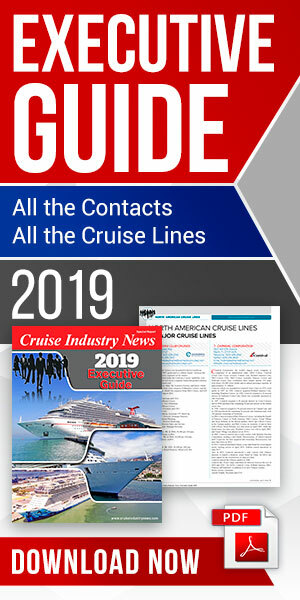 MSC said it will give cruise travellers from around the world a unique chance to get aboard the completely renovated 65,542-ton Opera, part of the company’s 200 million euro Renaissance program, and cruise to Jamaica, the Cayman Islands and Mexico with two nights and two and a half days in the Cuban capital. The seven-night cruises will be available with a combination of packages. In particular, from Spain, Italy, France and Germany, as well as Canada, Brazil and Argentina these will include of fly and cruise combinations. The company also announced that the opening of the sales across all channels for cruises on the Opera will be on Thursday July 9. To offer local ground services and shore excursions MSC is partnering with Cubanacan, a Cuba-based group created more than 20 years ago and, according to MSC, known for its experienced professionals and high quality of service. The first cruise will start from Havana on December 22, 2015, following the Opera’s voyage to Cuba from Genoa, departing December 2, 2015. The Grand Voyage will include a call in Havana on December 18, and resume its itinerary in the region before heading back to Cuba for its final call of the journey on December 22. On April 12, 2016, the ship will leave Havana for a Grand Voyage back to Europe, with Warnemünde (Rostock) as its final destination, arriving on May 7, 2016. During their two-and-a-half-day stay in Havana, passengers can explore the city’s old center, a UNESCO World Heritage Site, discover its history, culture and architecture, and stroll along the Malecon seafront promenade. The ship will at Cozumel, Montego Bay and Cayman Islands. Because of the deployment to Cuba, the Opera’s original winter 2015-16 schedule in the Canary Islands, Madeira and Morocco has been cancelled.